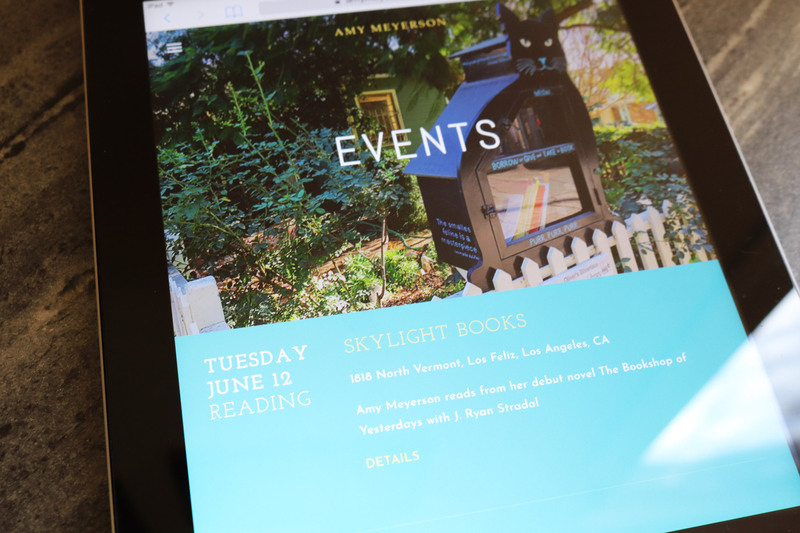 Amy Meyerson is the Los Angeles-based author of The Bookshop of Yesterdays, published by Park Row/Harlequin. 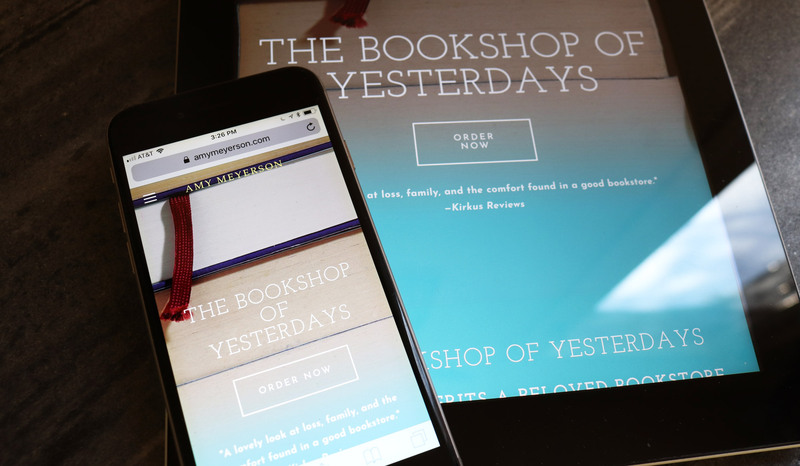 This being Amy’s first published novel, she asked us to create a website and print materials to establish her online and real-world presence. 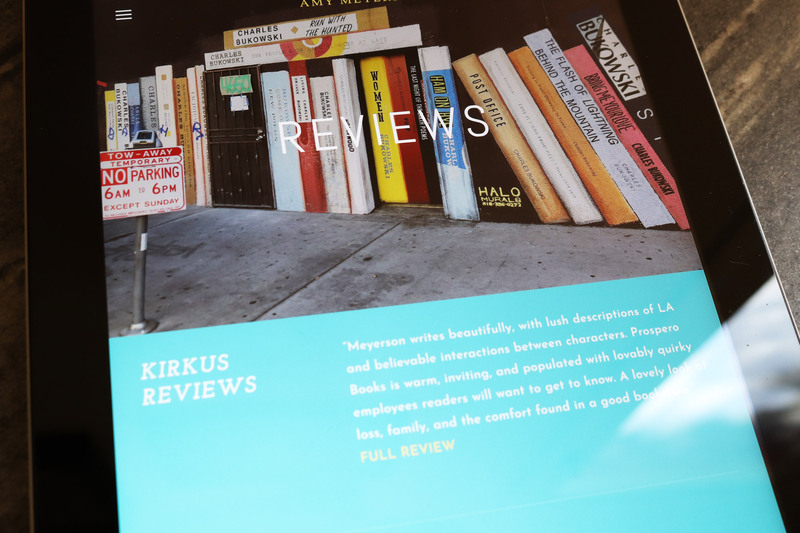 We created a simple, streamlined site for the author with the goal of both promoting her current book and setting the scene for work to come, keeping in mind that she would want to build out new sections of the site as her bibliography grew. 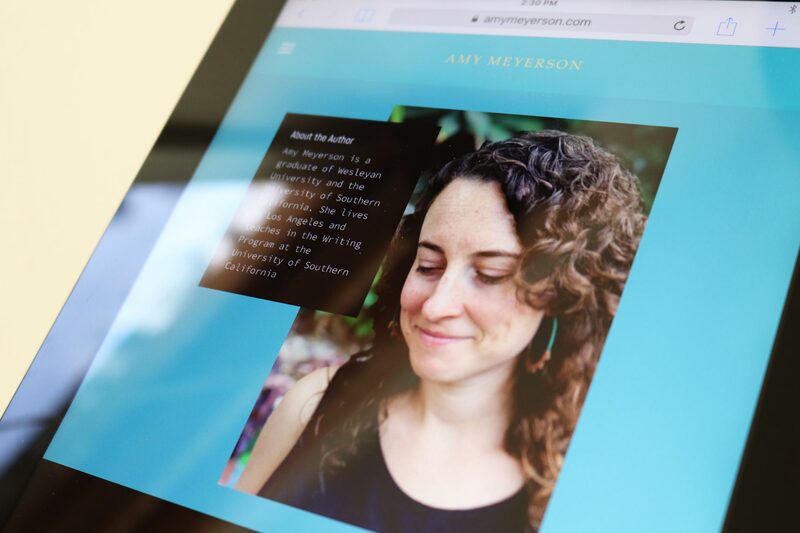 We continue to build out the site for Amy as she grows her presence, adding sections for reviews as they come in, events + readings, and a book club kit. 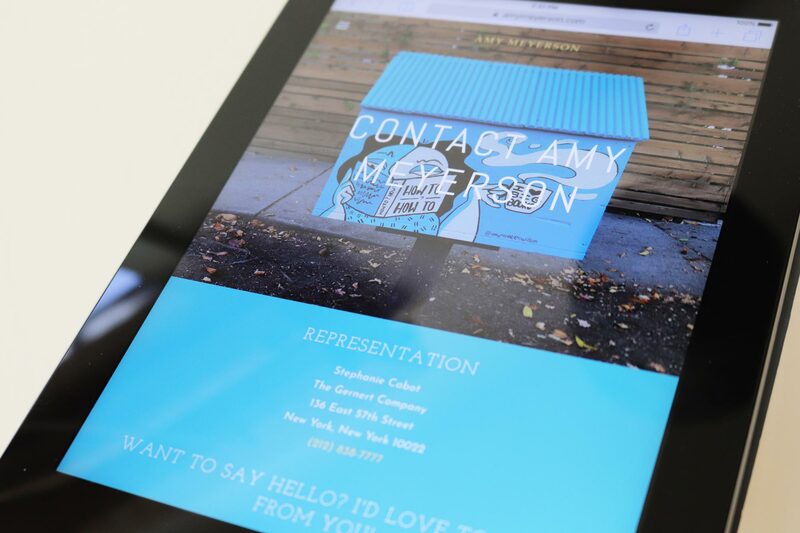 After we finalized Amy’s site and then brought it live for her, we set to work on her print materials, creating notecards that built off the book design for Amy to use in branded correspondence and for promotional purposes at events leading up to the book’s publishing. 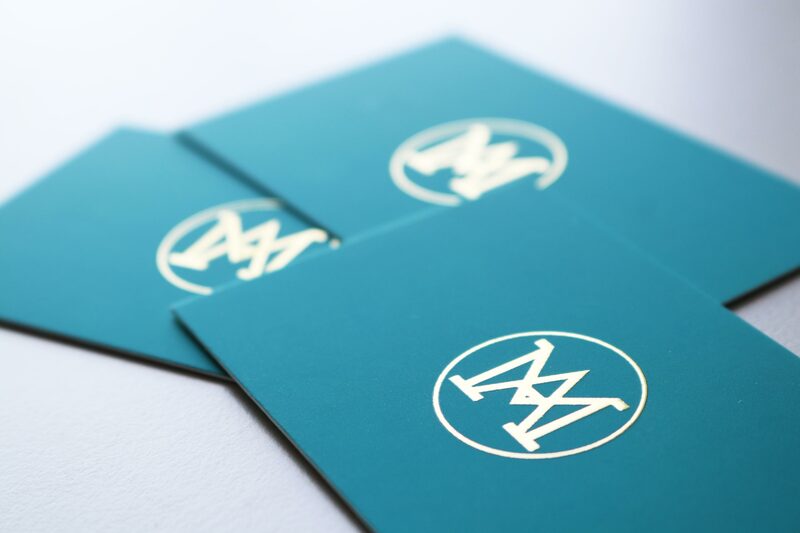 For Amy’s business cards, we followed the theme of keeping things elegant and simple, staying with the established color way and creating a branded monogram from the slab serif. 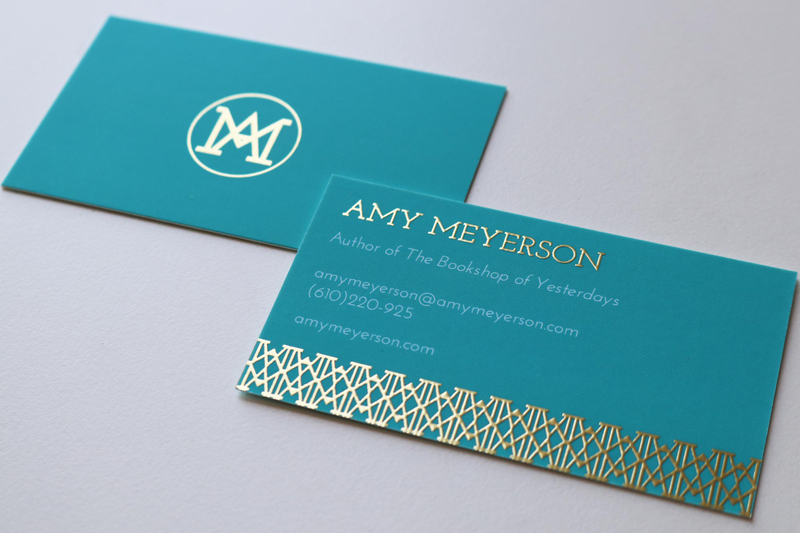 We then created a repeating pattern from the monogram that harkened back to architectural forms and the heyday of Art Deco in Los Angeles, printing elements in gold foil for a sophisticated pop that would set Amy and her work apart in her field.